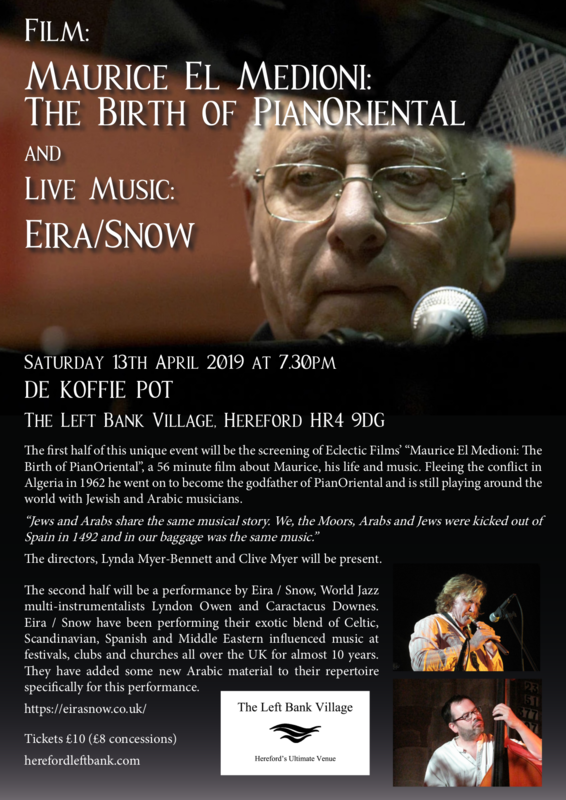 Eclectic Films will be showing a new film ‘Maurice El Medioni’, and celebrating all that is Middle Eastern Jazz with a specially devised set from world jazz multi-instrumentalists Eira\Snow. 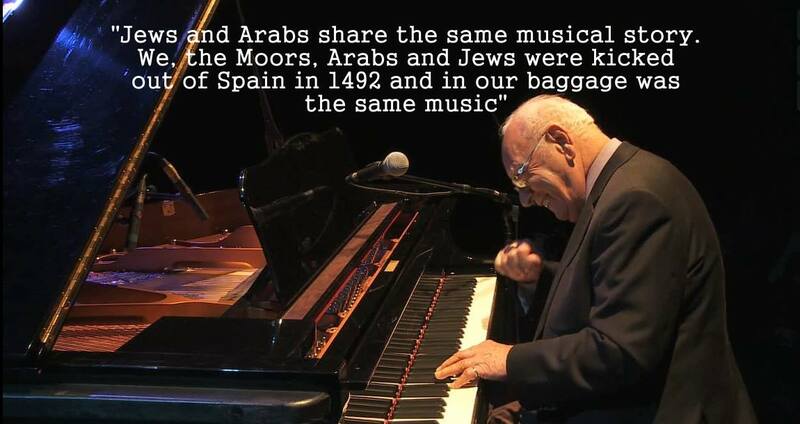 The film celebrates the life and music of the Godfather of PianOriental, ‘Maurice El Medioni’ It’s a musical reminder that we are all, at our roots, the same people. We hope it will also act as a reassuring presence to stave off prejudice and celebrate rather than be suspicious of difference. As Maurice points out ‘we are all refugees’. Using his diary, Maurice explores the musical influences that built his unique style of music – a fusion of Arabic, Jewish, Andalucian and American rhythms that see his left hand play Boogie while his right hand plays Rai.